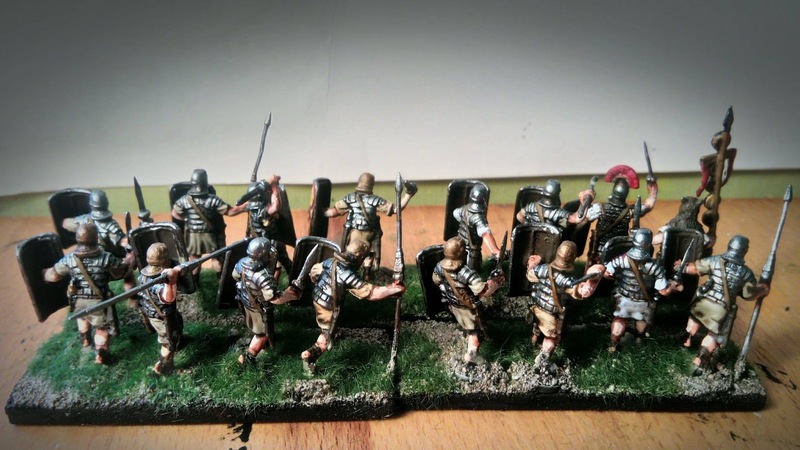 The blog to collect work of 17 years old miniatures enthusiast. 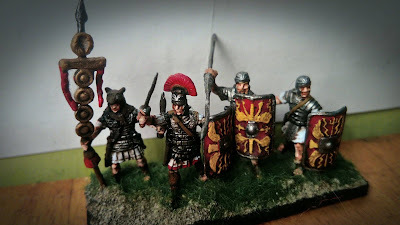 I'm back with some more 1/72 scale ancients. 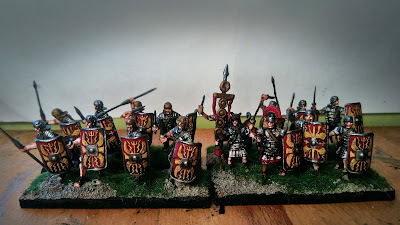 This time I decided to paint early imperial legionaries by Caesar . Great miniatures, sculpting is stunning and quite historically accurate. I decided to base them for DBA rules as 4x4Bd (Blade) elements. In addition to this I rebased my Celts for DBA as well. 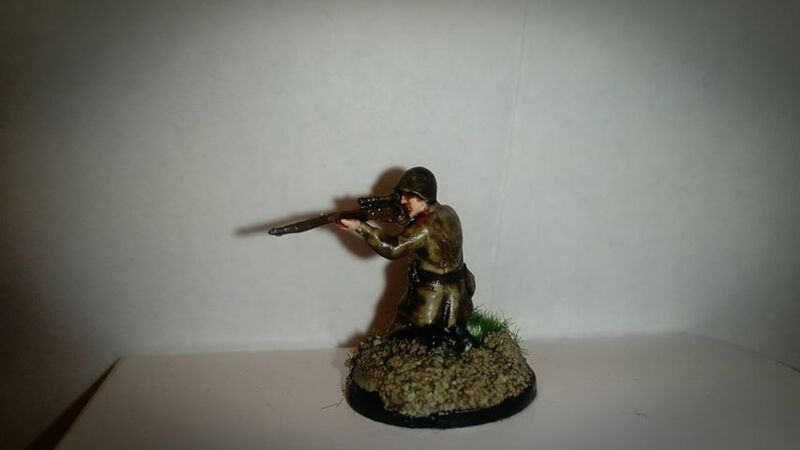 Finally, after a busy November I had some time to paint something and decided to paint one of Zvezda's soviet sniper from their Art of Tactic range.. Great pose and sculpture as always. Painted in classic summer uniform. I guess that's all, not much this month. Enjoy the photos! 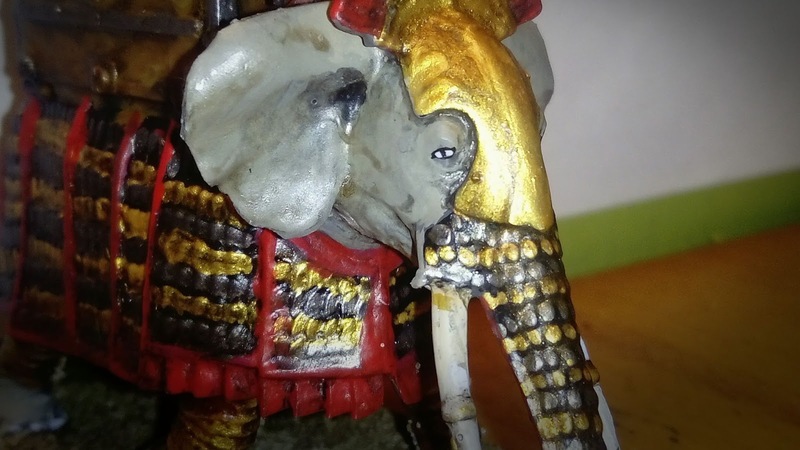 Can anyone imagine a good ancient mediterranean army without a magnificent war elephant? No? 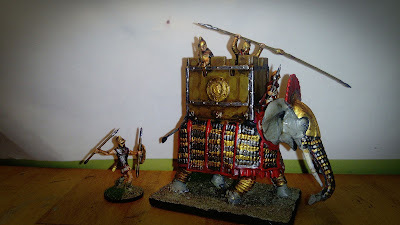 Well you all know how hyped I'm for anything ancient, so I had to paint absolutely amazing Zvezda war elephant set as my quick weekend job. In the box you can find two elephants and crew. First elephant is described as North African forest elephant (really endangered species) and the second Indian elephant. Crew wears Greek type uniform, which was used by like 80% of Mediterranean, so they can work as Bactrian(modern day Pakistan) Seleucid (Persia) and Carthaginian(North Africa). 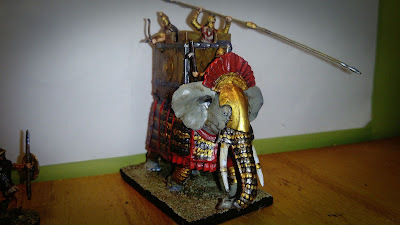 I decided to paint armoured one as carthaginian. I'm really satisfied with the results. 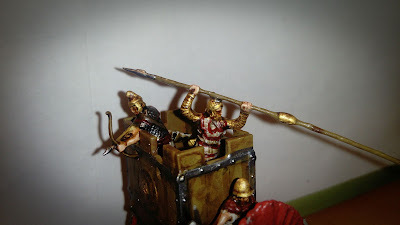 There might be a bit too much gold on miniatures as Carthage would not invest in this kind of heavy armour, but I really wanted to paint some gold (thanks Phil from http://philotepsfigures.blogspot.com for tips!). To accompany my elephant I decided to paint carthaginian peltast. If you are not familiar with ancients - peltast (gr. 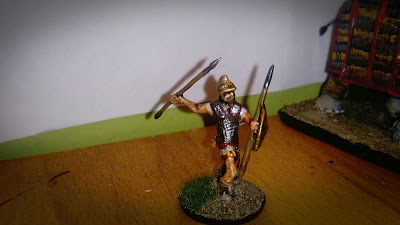 peltastes) is a name of light infantry used by ancient Greeks, during later period (3 BC) peltast would wear some armour to give them at least some protection in hand to hand combat. if you've still reading leave a comment and enjoy the photos. And I couldn't resist painting yet another 1/72 scale miniature. 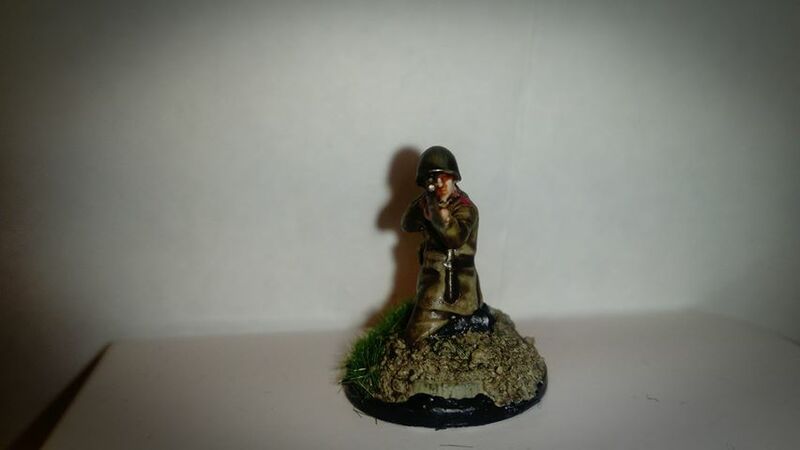 This time it's Wehrmacht officer from WW2. It was just a quick 2 hour paintjob after school, but a good one! He's from Zvezda Art of Tactic range and sculpting is really superior. I wanted to make him look like worn out eastern front veteran, so he has 5 o'clock shadow on his face. Enjoy! Wehrmacht officer calling Stuka bombardment, Stalingrad, December 1942. A little side project, completed in about three hours. Viking warlord in 1/72 scale by Zvezda. Nothing special about this miniature, but I was able to practice my photography skills a bit. Enjoy! Thanks for reading! Stay tuned! 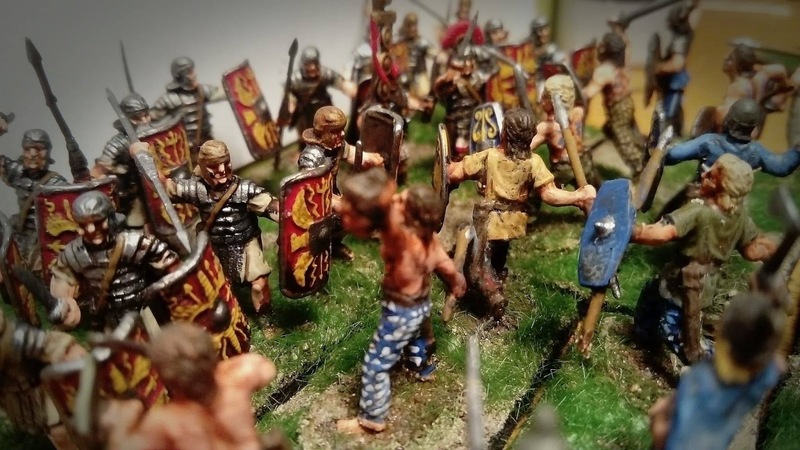 Which is more than enough to play Neil Thomas's One Hour Wargames ruleset. Miniatures are 1/72 scale by Italeri and Caesar. 38 infantry miniatures and 10 horsemen. Enjoy the photos! By the way, today is my blog's one year anniversary!!! Thank you for all your tips and support! 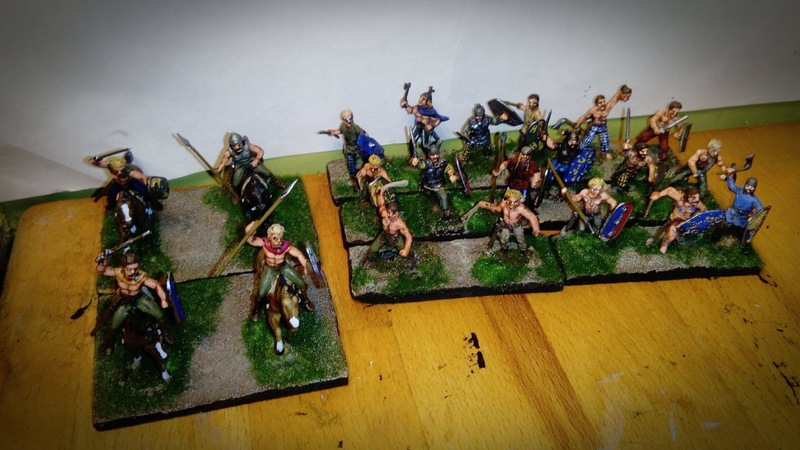 More Celts join the warband! OK, here we go! 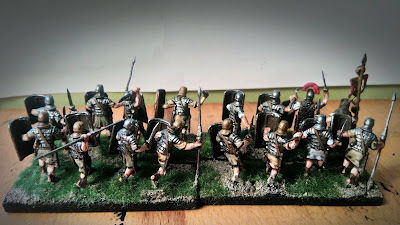 I painted up another 12 Celtic warriors , which makes another infantry stand and command section of my army. Miniatures are 1/72 scale made by Italeri and Caesar with several conversions done. As far as painting goes, no new techniques used mostly practised face painting and added some extra highlights. 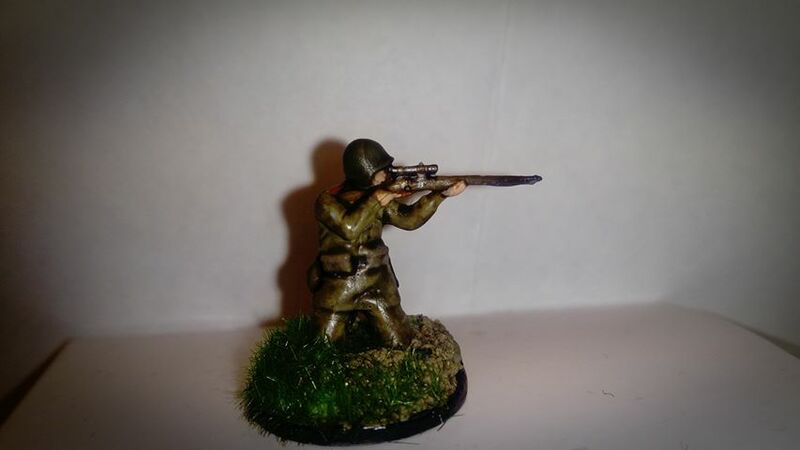 Figures are based for Neil Thomas's One Hour Wargames (which as always I strongly recommend). 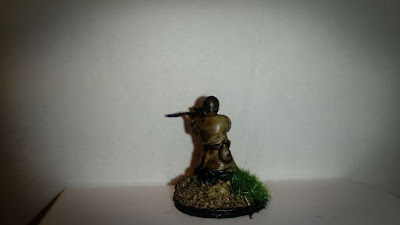 In addition i painted a Commander an a wounded solider. I made bases out of bottle caps. Actually, I have a question how do you feel about painting eyes on 20mm (1/72 scale) miniatures? Now as I paint regullary, I'm going to post something at least once a month to help my blog grow! More Celts to come! Stay tuned! I'm Jacob from Poland. I'm 17 and this blog collects all my work in this great hobby.